Spencer Edelman’s practice is focused in the areas of creditors’ rights and commercial litigation. In his creditors’ rights practice, Spencer assists banks and other creditors in foreclosures, collections actions, and bankruptcies. This spans a variety of industries including manufacturers, dairies, hotels, multi-family housing, and commercial real estate. In 2013-14 he served as a law clerk for United States Bankruptcy Judge David Thuma. Spencer has assisted large financial institutions, as well as private lenders, accountants, long-term care facilities, and other professionals in collecting debts secured by real property, vehicles, and equipment, as well as unsecured debts. Through this assistance he has developed substantial experience in real estate matters including disputes regarding title. In his commercial litigation practice, Spencer represents a broad spectrum of clients in product liability matters (including asbestos defense), contract disputes, landlord and tenant issues, real estate issues, and natural resources matters. Spencer has been recognized as a Southwest Rising Star by Southwest Super Lawyers®. 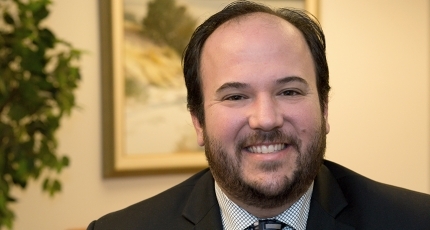 Spencer is actively involved in the State Bar of New Mexico, where he is past chair of the Young Lawyers’ Division and a member of the Bankruptcy Law Section. He participates regularly in the Wills for Heroes program which provides free wills to police officers, fire fighters, EMTs and other first responders. He also provides pro bono legal services through the Volunteer Attorney Project, Law La Palooza free legal fairs, the Veterans’ Civil Justice Initiative, and Ask-a-Lawyer call-in program on Law Day. Spencer is a Shareholder and a member of the firm’s Litigation and Creditors’ Rights Practice Groups. He was a two-year captain of the Macalester College tennis team and continues to play tennis regularly.